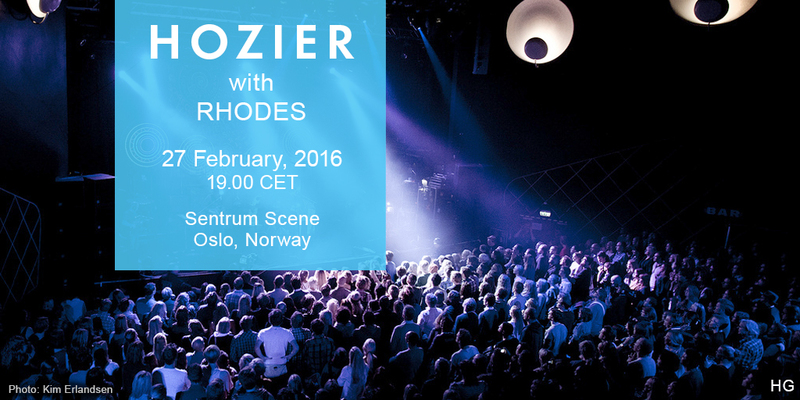 Hozier played the Sentrum Scene in Oslo, Norway on Saturday, 27 February, 2016. Rhodes opened. Capacity 1750. This is a long one folks covering the first fifteen minutes of the show. @hozier is an angel choir personified. Thank you! #hozier #takemetochurch #aaaaamen #sentrumscene #oslo #bliss #მადლი #ესგზატაძართანმიმიყვანს? We love how Ireland is always there to support Hozier everywhere he goes. Thanks to all of our contributors with special thanks to @Megn0481 and @literarypengke. Tagged Norway, Oslo, Rhodes, Sentrum Scene. Bookmark the permalink. What a lovely note. Thank you so much!